I’ve taken some passages from the newspaper article on the Princeton research to highlight parallels and distinctions with my reading of animal behavior. ##	Our mistake is to look at behavior and thus evolution through the prism of Time because this compels us to find The Prime Mover. And whether it is the God of Genesis or the God of Randomness, these are both Deities in their own way requiring the exact same leap of faith and this then precludes objective inquiry on what is happening right before us. It is a mistake to think in terms of a Creator (even though I am very comfortable with the notion of a Divine Intelligence) because this runs the evidence through the filter of causation. For example, these researchers uncovered the nature of this protein mechanism not by searching for its cause: in that case they would have settled for a gene theory, but by coming to understand how energy worked in the immediate moment. This is the same way physicists studied the atom, electron, photon, and so on. Science didn’t ask: What is the cause of electricity? In order to understand the nature of electricity they simply studied it in terms of the immediate moment and this manner of inquiry is so powerful that it then led science to understand the possibility of a Big Bang. So the irony is that only an immediate-moment analysis can apprehend the nature, and only apprehending the nature can allow us to offer educated guesses about causation. Likewise we shouldn’t interpret animal behavior through the prism of Time because then we will need to divine the source of their behavior via the notion of a Creator of some type. I’m not sure if you’re supporting the Evolution Theory at this point, but doesn’t the fact that you are looking for a basic rule of why dogs do what they do indicate that we can discover a logical basis for their actions? That their actions are not random but can be scientifically identified? Your theories have only increased my faith that God created this special animal to have a connection with humans that surpases the emotional connection that other prey-like animals have with us. 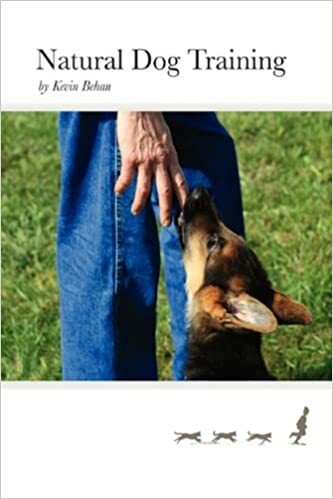 This “man’s best friend” was created to fill a human need and only by better understanding the animal do we truly begin to understand our own nature. I am curious if your connection to nature and animal has not increased your belief in a Creator as it has mine. Whatever your personal belief, I have truly experienced a closer connection with God by learning to trust my instincts and understand this beautiful creature more fully – and I thank you for that. Yes, I believe that dogs reveal a fundamental order to nature and this can be scientifically identified. If this proves to be true, I don’t think it would settle any philosophical debates, but might make them more meaningful because they could take place on a deeper understanding of nature. Personally, what I’ve learned from dogs has deepened my faith in a higher intelligence, but I don’t think it’s a person and possibly not even a Creator. If my reading of nature is correct, then energy is what’s divine and we and animals are its charged particles that are necessary to facilitate its evolution. I believe that evolution is working toward complexity and it ultimately requires the human capacity for choice. Our capacity to grow in this regard is to understand how the issue of choice plays out in the natural scheme of learning and evolution. Choice is not about freedom and it’s not about letting things fly about at “random.” It’s about understanding how order increases the availability of energy for all. Order for the sake of order is stagnant, and energy dissipating without doing work is enervating. I recognize that I’m making a leap of faith and so I don’t judge against any other leap of faith, be it Creationism, Intelligent Design or Behaviorism. My complaint with modern behaviorism is that it is also making a leap of faith but doesn’t know it. This is why they don’t seem to enjoy talking theory and see other systems as anti-scientific. There are legitimate questions about an aimless evolution based on random mutations and we should be free to ask such questions. Our connection to dogs is special because dogs are “heart energy” and they can show us how heart works. Because dogs know us by heart and go by feel is the source of their infinite capacity to adapt to human ways. In my mind, Heart is the real vehicle of evolution because it is how each individual accesses the mind of the network. But be careful, our instincts are to turn the dog into a person, a self-contained entity of intelligence, so I’m also trying to teach people not to do that as well. Otherwise we will not see Heart as a faculty of intelligence and continue to look between the eyes and inside the dog’s head for the source of its consciousness. Dogs are here to show us how to see-by-feel and know-by-Heart. I appreciate your heart felt response. I agree that to really know the dog we cannot make it human, but rather we begin to understand our own place in the natural world by closely observing how they bridge the gap of our domestic world and the natural world. In other words, we learn to be our ‘animal’ selves – to feel we belong to the natural world and are not simply dominating it and civilizing it. That’s what I’m appreciating more and more through this quest for understanding – it’s not about training the dog to fit my world as much as connecting with him in the more natural world he thrives in. As always – thanks for taking the time to reply. So then, would ‘flipping polarity’ be considered a dipole moment? My understanding is limited, however I’ll venture a yes. Dogs have two poles, they are the physical embodiment of a “dipole moment,” just like a molecule of water. This is why they are “viscous” i.e. they pool together (social impulse). They are drawn to path of least resistance, like water going downhill, unless pressurized, which is why there is stress in consciousness so that energy can be compressed and forced to move uphill (like water in a pump) and do work, thus dogs are attracted to humans as path of highest resistance. So with these two poles, when any two dogs meet and greet, they orient according to these poles, prey or predator, and if they connect, they then “flip polarity” and if this is smooth and fast enough, (play) their latent and deepest reserves of stress can be invested in each other and we observe this as emotional bonding that then facilitates working together (hunting or for our domestic purposes, obedience). Interesting….I see that more and more in Duncan, the way he ‘plays’ with Diva. I see more smooth, fluid motion; more showing of teeth and he’s even almost barking lately when he’s engaged with her. It’s a deep, body bark. Bodie is making efforts to engage in play with them; he’ll jump towards one of them, doing an almost still-legged play bow, and run towards them. Of course, he still runs away quickly because it’s too intense for him. Will the 3 be able to flip polarities in group play or does that only happen with sets of two? The more dogs, the harder it is, although some of the dogs gravitate to being more and more inert, and so there’s ultimately no problem and only join in sporadically and are quickly sated. This is also why wolf packs are smaller than African wild dog packs, as the battery can only be divided into so many poles. Also, it takes more time for more than two dogs because there are two primary poles, predator and prey, and they have to differentiate to each other in a moving group so that takes time to calculate and average out two or more into the same wave function. Often with more than two dogs, a place will become an objectified pole and so the more sensitive dogs will head to the safe zone, and then zoom into the fray, and then go back to the safe zone as their definition of flipping polarity. That sounds exactly right, Kevin. It’s just what Bodie does; he zooms into the garage and then zooms back out again for another round. Bodie would then be the sensitive one, I’ve always thought he was a lover not a fighter. So then Bodie really is a part of the pack and he’s aligning with Duncan and Diva, as far as he’s concerned, when he’s playing even though he’s not as involved as the two of them are. That’s a bit of a relief as it seemed that he was left out; they do tend to mob him still. Thank You! when my 3 dogs play together, one of them lies on her back, the other two bite at her. the other way to have all 3 of them play, is one runs off with a toy and the other 2 chase him or her for it. otherwise it is mostly two of them playing at the same time. about the african dogs vs wolves – are you saying not every dog does well in multi dog environment – and each dog has a different threshold of what they consider acceptable i.e. for a specific dog, 8 is OK but 12 is unacceptable ? There are two basic poles or temperament traits, prey and predator and assigning these determines which way energy is going to flow. Without this assignment there is friction until there is such differentiation, or there is no interaction. 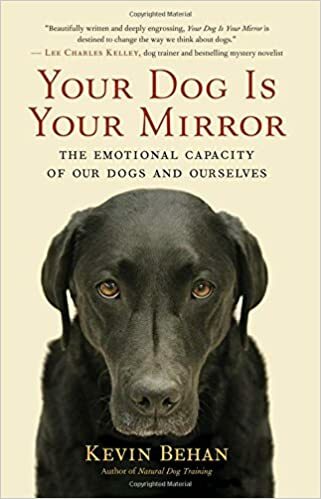 So when there are more than two dogs, there is increased pressure above and beyond the already self-charging nature of the canine mind, to deflect this energy onto a common object of attraction around which a multiple of dogs can align. So now we have 2 temperament traits (prey/predator or positive/negative as in electric) becoming 4 temperament traits around a common object, north, south, east and west. The electrical paradigm begets a magnetic one. Now each cardinal point on the compass, can differentiate relative to another individual that is also close to that polarity back into the prey/predator thing when they have to deal with each other. At any rate, there’s only so much of this division that is going to allow for coherence on the group wide level, without little pods breaking out and finding themselves insulated from the larger group. Therefore wolf packs seem limited as to group size unlike African Wild Dogs that exist in forty or more because they are more coherent in terms of Temperament running the show. The African Hunting Dogs are niche players running on species-specific software and don’t have as strongly developed Temperament which is the basic software of the network consciousness and on which the wolf and now the domestic dog even more so, relies on in its manner of hunting and therefore orientation to the world. Personally, I’m a one dog man because it’s easier for a human to develop rapport with one dog at a time because there’s not enough time to develop rapport with many dogs and without triggering whole sale ripples through the group dynamic. But as long as you work toward every member aligning around a common object, things can be fine, but a high level working rapport with each one living together constantly, would be very hard to establish and even more so to maintain. You will notice that if one dog excels in one exercise, the other dog will have to lag. So two dogs are not twice the work, they are (2 x 2) x (X) the amount of work with (X) being the number of exercises to be mastered.